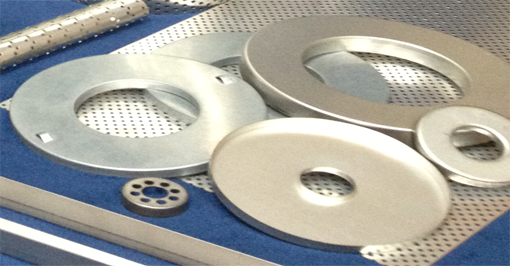 Jadtis Industries is a custom metal components manufacturer and slit metal coil service center all in one. We have supplied satisfied customers with quality products, competitive pricing, and unparalleled delivery for over 10 years. Located in Farmers Branch, TX, just north of Dallas, we ship our products throughout the United States as well as internationally. Browse our divisions for detailed information. 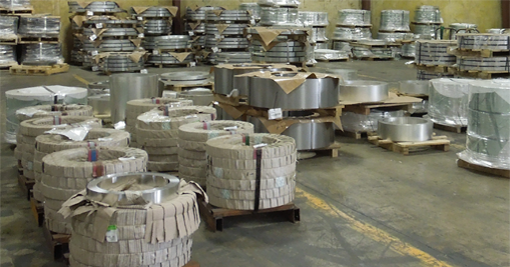 Jadtis Industries metal manufacturing division manufactures spiral formed metal cores, perforated metal, custom metal stampings, straight lock seam cores, expanded metal cores, and wire formed rings, with a primary focus on the filtration industry. Jadtis Industries offers precision slit coils to the aerospace, appliance, automotive, defense, chemical processing, electronics, food service, HVAC, medical, marine, power generation, metal stamping, filtration, and the petrochemical oil and gas industry.